Cardiovascular problems are some of the main causes for death in the United Kingdom among the elderly people. What could we do to protect our family and those around us? Certain observations point out that increased consumption of fruits and vegetables protects against cardiovascular and other chronic diseases. The World Health Organization recommends a daily intake of at least 5 portions of different fruits and vegetables. Other preventive measures we could take: reducing the use of saturated and trans fats, standard table salt (sodium chloride) and sugar; quitting smoking and excessive consumption of alcohol, our bad habits, as well as restricting other stressful factors. Favourable actions in this regard: regular physical exercises, sustaining a healthy weight, constant care for the good condition of the gums and a sufficient amount of water. A change in the daily habits could have a notable effect even for elderly. By demonstrating self-initiative towards improving your own health you often set an example and inspire the people closest to you to do the same. 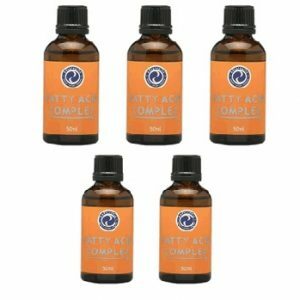 A bestseller, this product is a combination of CoQ10, chromium, and blue-green algae from the Klamath Lake. CoQ10 is well known healthy food supplement for the proper function of the heart, consumed by more than 30 million people worldwide. Chromium takes part in the process of assimilation of glucose. CoQ10 is a powerful, adaptive antioxidant that transforms the food and the oxygen into metabolic energy within the cell. The coenzyme in CoQ10 is a natural extract as opposed to the synthetic used by other leading brands at lower prices. The results are from research conducted with CoQ10 in its natural formula and not the synthetic one. The pure trans-isomeric formula of CoQ10 in the capsule maximizes the assimilation of this vital food supplement. Chromium picolinate is the chromium formula object of the deepest and most intensive research and is significantly more bioactive compared to the other chromium formulas. Some research indicates deficient levels of chromium among 90% of adults and that chromium is not usually abundant in our daily food intake. Blue-green AquaSource algae contain a large diversity of antioxidants, minerals, vitamins, enzymes and are a significant source of proteins. The fatty acids, on the other hand, are a key food supplement that the human organism cannot synthesize on its own; that is why we need to provide our body with it through the food we eat on a daily basis and at the same time we need to reduce the intake of the unhealthy fats. Liquid Gold is for users with more exacerbated necessity of fatty acids. Some research, conducted recently, shows that the eating of berry fruits even once a week has a positive effect in the long run. Do not miss the season of the berry fruits! 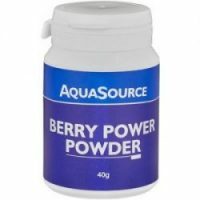 Berry Power gives us the opportunity to consume a combination of highly potent berry fruits throughout the whole year. When the organism needs a greater amount of antioxidants, add the product Super Antioxidant. Lighten-Up! helps us to sustain a healthy weight. 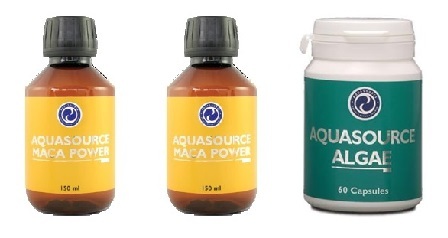 Try adding some capsules of Sea Power Algae in your daily intake (especially for women). It contains iodine in its natural form, necessary for the optimal function of the thyroid gland.